If you thought Illinois was the "Land of Lincoln," think again — the Spielburger served in a Richmond, Virginia cafe proves that director Steven Spielberg's "Lincoln" was actually filmed right here. Luckily for those in the family who hate history, award-winning Richmond, named a "Best City for Families" by Parenting magazine, has developed many other fun tourist attractions since the Civil War. 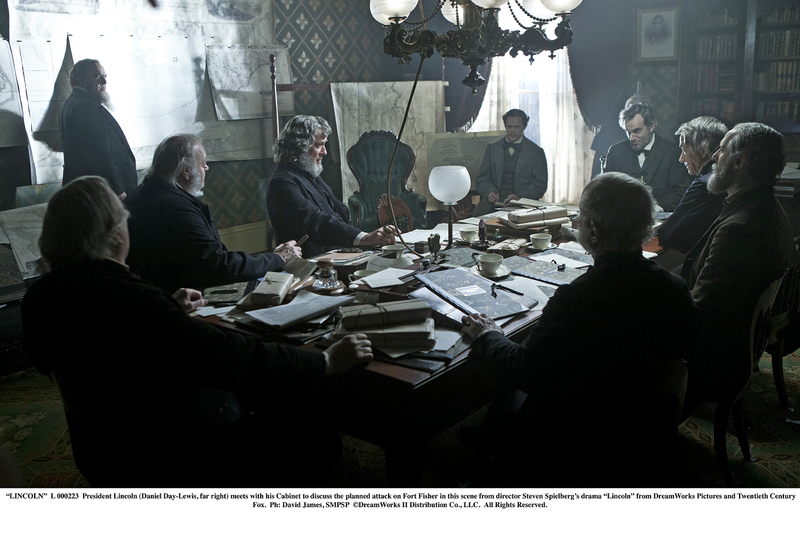 Set in the final months of the Civil War, the film "Lincoln" starring Daniel Day-Lewis as the 16th president made great use of the distinctive Virginia State Capitol building designed by Thomas Jefferson. Today, free guided tours explain to visitors how it was used to film both the Washington DC legislature in the mid-1800s and the US Capitol. The city's Governor's Mansion, its gilded Jefferson Hotel and Virginia's rolling countryside are other locations that helped tell the story of Lincoln's struggle to abolish slavery. Richmond was historically the capital of the Confederacy, and 25% of Civil War battles took place within a 75-mile radius of downtown. 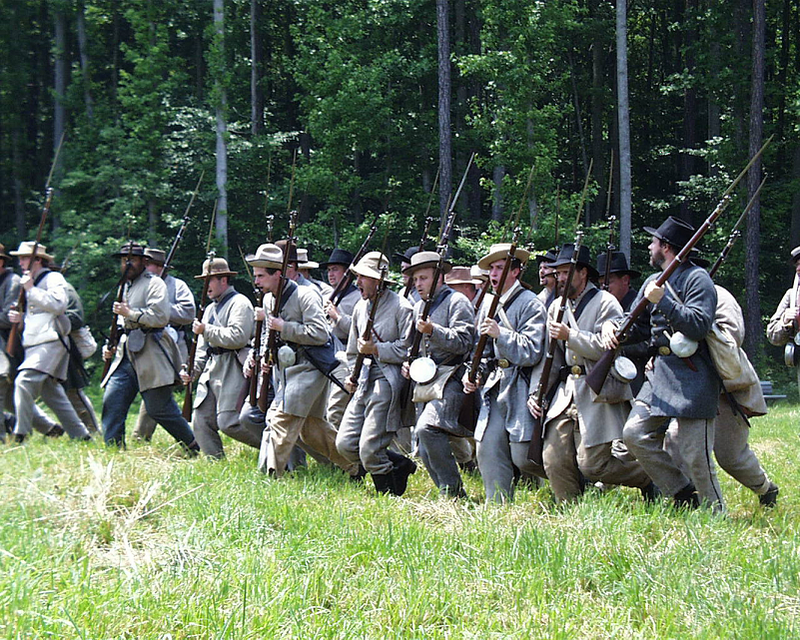 The Lincoln Movie Trail allows Civil War buffs and movie fans to tour all the film's locations. 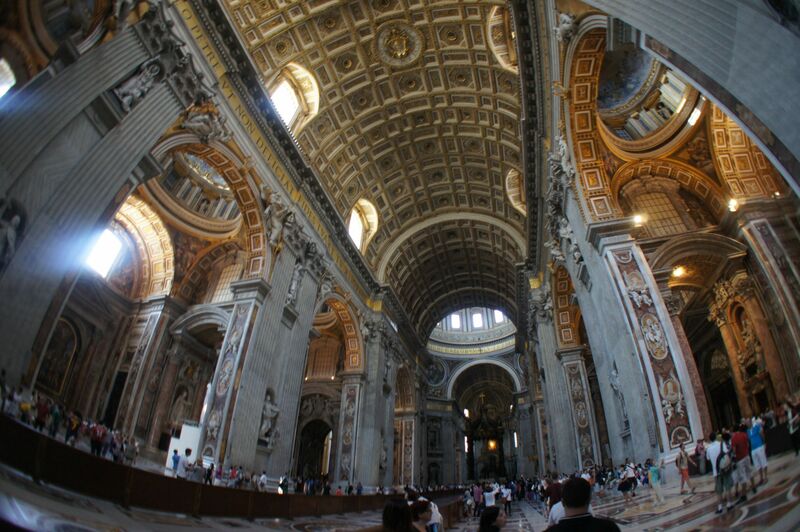 Stars' homes and favorite dining spots are also pointed out, giving the tour more resonance with a younger audience. The Lincoln Walk – where the President walked when he came to Richmond, one day after it fell, on April 4, 1865. Not exactly a family vacation, Lincoln arrived with his son Tad to call on Confederate President Jefferson Davis at the White House of the Confederacy. Bread Riot – where thousands of citizens protested food shortages in 1863 caused by the War of Northern Agression. Slave Trail – where slaves were trafficked, the trail goes from Ancarrow's Landing to Lumpkin's Jail. Secrets of Mary Bowser – Guides tell the story of a free slave who spied for the Confederacy. New for Richmond is the Richmond Liberty Trail. This public-private project modeled on Boston's Freedom Trail unites the major Civil War sites on a 6.2-mile-long trail marked by blue diamonds. Walk past 15 National Historic Landmarks (many can be entered), local neighborhoods like the beautiful Church Hill, and join up with the Slave Trail at Shockoe Bottom as time and energy allows. 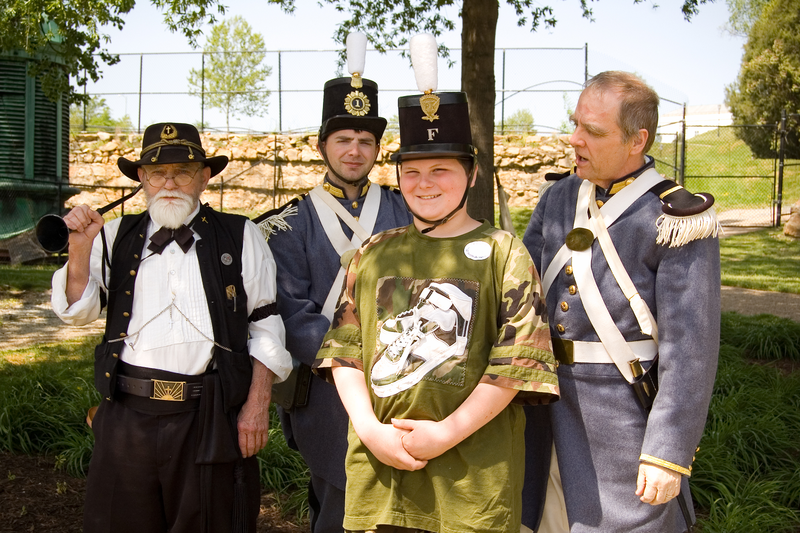 All year long, families can join the Civil War Sampler Tour to get an overview by bus of the region's role in history. History buffs will want to download the podcast "Lincoln's Last Journey." For a dash of adventure, folllow the route on the Lincoln's Walk 1865 guided tour by Segway. While the Museum of the Confederacy has a more traditional view of history, the privately run American Civil War Center uses multimedia and interactive exhibits to help all ages understand the war from various points of view. Visitors with more time should plan a longer Lincoln Tour from Fairfax to Petersburg using the state's resources at Virginia Tourism. A favorite of local families, Maymont Park is a 100-acre estate with mansion left to the city by James and Sallie Dooley. Entry is free, and among the landscaped grounds are a bear exhibit, with two black bears to visit; a children's farm; and a small Nature Center (admission $2). Traveling exhibits can be just as unusual: a venomous snake show is coming to the Nature Center for summer 2013. Toddlers especially love the Italian and Japanese Gardens, where there's a koi pond punctuated by stepping stones. The 35-room Dooley mansion was used in the filming of "Lincoln" as the McLean House in Appomattox, where Lee surrendered. Those who enjoy historic homes will enjoy the behind-the-scenes tour of its over-the-top decor, myriad Tiffany windows and the original Dooley family furniture. Bring picnic blankets; between the grounds and the attractions, it's easy to pass a whole day at Maymont, also a popular spot for weddings and celebrations. Kings Dominion may be more in keeping with your notion of child's play. The park, part of the Cedar Fair empire which runs Cedar Point in Ohio, has just opened the largest Planet Snoopy park for toddlers — a full 14 acres — in the country. In addition to meet-and-greet areas to say hi to Charlie Brown, Linus, Lucy and friends, Planet Snoopy has 12 new attractions for preschoolers, gentle mini-coasters, and live shows geared for the under-height crowd. An open air market sells healthy snacks, fresh fruit and food. New parents will appreciate the large Family Care Facility, with changing rooms, a private area for nursing mothers, and even a nap area where sleepy ones can rest, under parents' supervision, before heading back out to the park. Older sibs should check out the website to learn more about the 85° drop on Intimidator 305, the Waterworks slides, wooden coasters and the 30-story-tall Windseeker. This is the best place for parents to find out which local hotels are bundling theme park tickets with room nights. The park is open Memorial Day to Labor Day, plus certain dates in spring and fall. Richmond is loaded with family attractions and amenities. The extensive Children's Museum of Richmond has three campuses with different exhibits and interactive play areas. There's also a zoo and a science museum, a wonderful fine arts museum, several historic houses and gardens, shopping and wineries open for touring. Voted Outside Magazine's "Best River City in America" for 2011, Richmond's water play is set along the James River, whose Class IV whitewater rapids and wooded banks are used by residents for daily recreation. Families can rent gear to raft, bike or just hike the urban trails in the heart of the city. You can also stroll the mile-long Canal Walk whose exhibits tell the history of the river as it passes through downtown. From the Mayo Bridge you can look out to little Mayo Island. We like the idea of "Flowers After 5" events at the Lewis Ginter Botanical Gardens, where food and wine is paired with blooms of the season. It's a free evening in the great outdoors each Thursday in June, July and August from 5pm-8pm; food and wine samplings and meals are available for a fee. Garden tours and supervised children's activities allow parents to relax. The second Thursday of each month parents are back on duty, since pets are welcomed at Fidos After 5. Richmond has you covered if you're not the type to plan ahead. 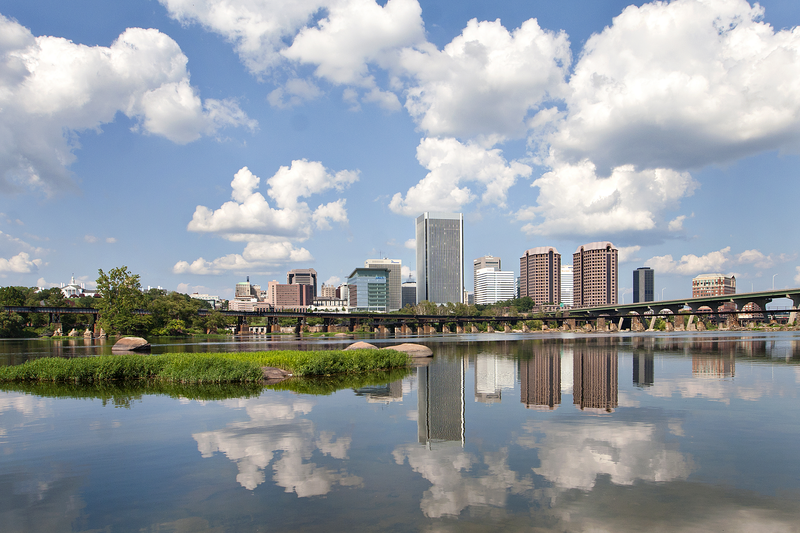 The wired city has created apps for its bus system, airport, food truck locations, historical sites – check out Visit Richmond, Virginia to see what's in store. Day visitors can stop by the Mobile Visitors Center, an SUV covered in city decals that dispenses maps and information at different street corners. Richmond is also a multicultural city, with a diverse population that throughout the year celebrates Chinese, Philippine, Indian, African-American, Armenian, Irish and more cultures with street fairs and performances. There are many free festivals with family activities. Among the best, the Dominion River Park Festival in May is where kayakers, runners and bikers compete with live music, food stalls and frisbee for attention. Juneteenth, a Freedom Celebration with music and activities is held June 15th along the Slave Trail; the Richmond Jazz Festival is held the second weekend in August; the Chesterfield County Fair takes place the last week in August; and the State Fair of Virginia is usually held the last week in September. In May and June there are several food festivals, including special ones devoted to Lebanese and Greek cuisine, as well as the popular Broad Appetit, when 50 local restaurants set up food stalls along Broad Street. From November to January, a public skating rink in the heart of downtown is the focal point of winter holiday festivities. The ca.1895 Jefferson Hotel is the city's most historic and it has been restored to five-star grandeur with the exception of the alligators once kept in its marble lobby fountain; they have not been returned. There are many other lodging choices as well, detailed on the Visit Richmond, Virginia site.